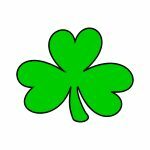 The 51st Norfolk St. Patrick’s Day Parade will begin at Northside Middle School which is located at the corner of Westmont Ave and Granby Street. The parade will travel north on Granby, turn left at A View Ave, turn left on First View Street, and end at the intersection of First View and Government Ave. The parade route is approximately 1.5 miles. The parade is generally not cancelled for light rain. Heavy rain or other significant weather events may lead to the parade being cancelled. For the latest updates, visit: www.norfolkvaparade.com. The Norfolk St. Patrick’s Day Parade is free and open to the public. An After Parade Party, presented by the Columbian Club of Ocean View, will begin at noon at 211 W. Government Ave. The event will feature live bands outside and inside the Hall. Food and refreshment vendors will be available as well.